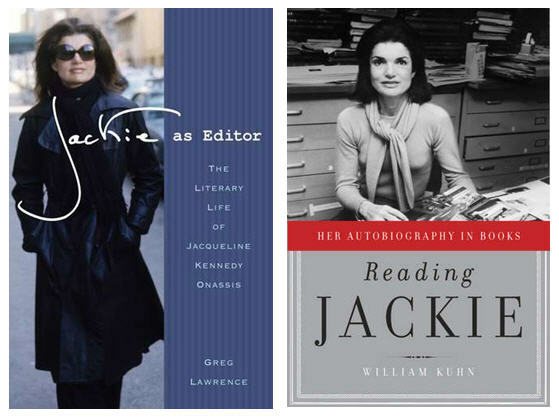 There are not one but two fabulous new books that chronicle the more than two decades that Jackie Kennedy Onassis spent as a book editor. Jackie as Editor: The Literary Life of Jacqueline Kennedy Onassis by Greg Lawrence which you can read an excerpt from in the January 2011 issue of Vanity Fair and Reading Jackie: Her Autobiography in Books by William Kuhn. For most of her life, Jackie was defined by the men in her life but it wasn't until she started to work that she really came into her own. Jackie was said to have nurtured her authors, many of whom left Doubleday after her death because they couldn't bear working there without her. I was surprised to learn that she worked with Diana Vreeland on her book Allure which was recently rereleased. 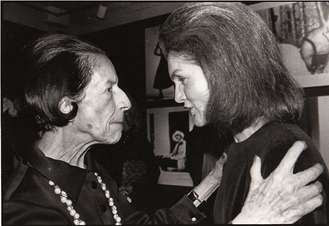 Vreeland's grandson, Nicholas Vreeland, remembers Jackie coming over to Diana's apartment to work on it. I can't wait to read both books and see what else she helped to publish!